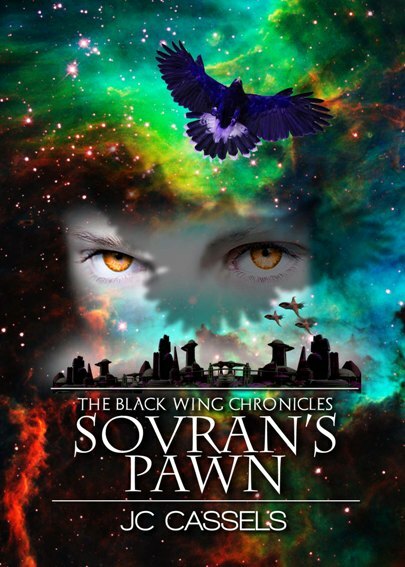 Drumroll please… I present for your consideration, the final (really and truly) cover art for SOVRAN’S PAWN. Ta-DAAAAA!!! It’s Science Fiction Fantasy Saturday time again! As you may recall, SFFS is a ring of authors who share some of their work each Saturday. Anyone is welcome. The idea is to feature a snippet of your work for others to enjoy. As you may recall, Bo is onboard a luxury star liner at a Five-Point tournament, charged with obtaining schematics for an experimental phase weapon from Tennova, the young genius who claims to have invented the weapon. Her father has been kidnapped and the ransom demand is for the schematics for this weapon. Still adjusting to her new life as an outlaw, and distracted by her attraction to the charming rascal from the embarkation lounge, her goal of getting close to Tennova isn’t as easily attained as she’d hoped. Pounding bass notes, like thunderous artillery, from the nearby dance club thumped against her chest in time with her heart, calling her away from the revelers in the lounge. Bo squared her shoulders and lifted her chin. Sentiment was a luxury she could ill afford. If she wanted her father back, she would do well to keep her head in the game. Unconsciously, she fell into step in time with the beat of the music. Explosions of light flashed over the crowded dance floor, illuminating the writhing knot of life forms undulating in whatever passed for dancing in their culture. The deeper shadows of the club suited her mood. As the searchlights swung around, playing across the other side of the club, she spotted Tennova, leaning on a high table, drink in hand, charming a small group of passengers. Her mind cleared as the last of her personal feelings ebbed away. She had a job to do. Ah, the Tennova, at last. Great scene. As for the snippet, I really loved the opening description of the music. I could hear and feel it as I read which is really awesome. Thanks for sharing! Ooh, that cover art is lush! Loving the descriptions in this – can really hear/feel the music and see the claustrophobic crowd. Great snippet! I find myself walking to the beat of the song to which I’m listening, also. And, I love the line about “whatever passed for dancing in their culture”. Can’t wait to see what happens next! My husband said it sounded like the Homecoming dance he had just chaperoned. I think we’re both biased! She did an amazing job! Thank you! Left me tapping my foot and definitely built the urgency. Good job! Loved the snippet…very descriptive. I could just “feel the mood” of the place. I could just see the dance floor. Very nice! Really liked the line ‘The deeper shadows of the club suited her mood.’ Chilling.